Work from home and earn extra money by becoming an online tutor with Tidewatertutors.com! Tidewater tutors connects students with only the best online tutors, which is why our tutors are paid more than other online tutoring platforms. Start tutoring with Tidewater tutors and earn more. If you love your field and want to share your knowledge, you’ll love being an online tutor with Tidewatertutors.com. Our tutors are the best of the best and earn extra income while tutoring subjects they are passionate about. Work from home and earn extra money by becoming an online tutor with Tidewatertutors.com! College students, teachers, adjuncts, professors and industry professionals all love this exciting part-time tutoring work. Help students of all ages—from K-12 to college to adult learners—gain a better understanding of your favorite subjects, while keeping your skills sharp. Apply now to become a Tidewatertutors.com tutor. Our students want to learn from qualified educators like you. Convert your knowledge into cash and earn extra money in your spare time as a tutor. All you need is your expertise, a device, and a wifi connection. Accept sessions when they work for you. Login and be online when you’re free to accept instant sessions. Tidewatertutors.com is an equal opportunity employer. All hiring decisions are subject to immigration laws pertaining to work authorization requirements. Tidewatertutors.com considers applicants for all positions without regard to race, color, religion, national origin, gender, age, marital status, disability, veteran status, sexual orientation or any other characteristic protected by applicable local, state, or federal law. Why You Should Tutor with Us We love our tutors and the feeling is mutual! 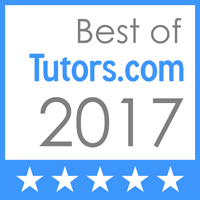 In fact, 95% of our tutors told us they are satisfied or very satisfied working for Tutor.com. Here are a few reasons why you’ll love being a tutor with us. We know you’re busy, so we offer flexible scheduling that fits your needs. Our service is available 24 hours a day, 7 days a week, and you can create a schedule that works best for you. You can tutor as few as five hours a week and as many as 29 hours a week—all on a week-to-week scheduling basis. Too busy to schedule ahead? You can also pick up sessions in your spare time. Make money tutoring online from your home, office, dorm, or any computer—wherever you have a stable, high-speed internet connection. Learn more about working from home! Enrich the lives of thousands of K-12 students, college students and adult learners by helping them understand your area of expertise. We bring our clients to you, so you don’t have to scout for business. And, you never have to track down payments from clients. Take advantage of our one-of-a-kind mentoring system and tutor resource center for advice from experienced tutors and informative manuals, worksheets, and videos to help you along the way. Let us know you’d like to tutor on Tidewater tutors. Have your teaching certifications, proof of education, and ID ready. If you’re a good fit for Tidewater tutors, you’ll be approved and visible to students. Add a criminal record check for full Tidewater tutors verification. Find some time with a Tidewater tutors team member to get introduced to the system and classroom. We’ll make sure you’re ready for your first session. Make sure you receive the right session requests for you. Set your availability, double check your bio and profile picture, and ensure your teachable subjects are listed on your profile. Get online to accept instant help requests and start earning money tutoring one-on-one in the Tidewater tutors Online Classroom. Who can become a Tidewater tutors online tutor? Once approved, tutors should be available to help new students. Occasionally inactive tutors need to be removed from the site in order make space for new active tutors and to make sure students get the help they need. Verified tutors are denoted with a purple Tidewater tutors shield badge on their profile. These tutors have proven their credentials and have submitted a clean background check. Being verified not only means you’ll get more attention from students and parents, but you could also qualify for specialized programs with students not all tutors have access to. With features such as video conferencing, online chat, screen sharing, an interactive whiteboard, and Google Drive, our online classroom simulates the face-to-face tutoring experience while removing geographical limits and adding features only possible in an online environment.